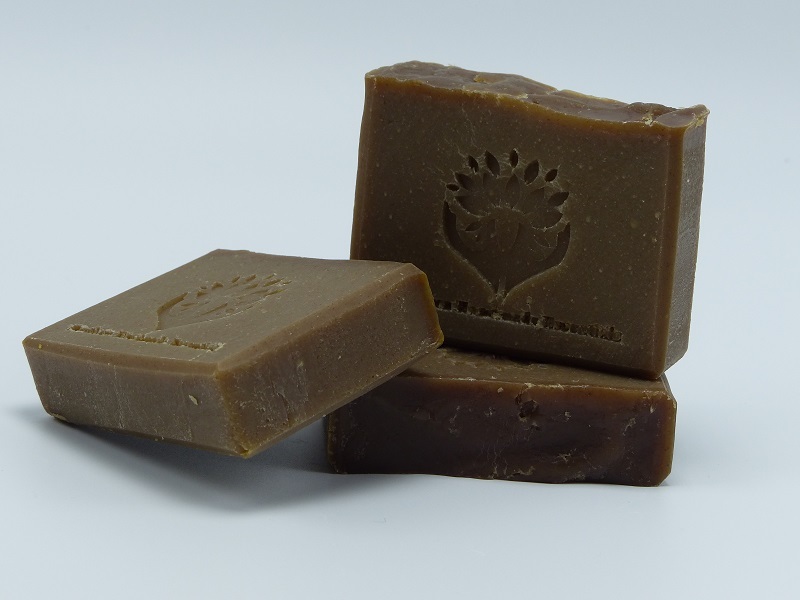 A natural shampoo bar enriched with deep conditioning, moisturizing organic coconut milk, and loads of coconut oil. Coconut milk nourishes by providing natural moisture from roots to ends. It has been used by women in India to help prevent hair loss. It acts as a natural detangler and a great natural conditioner encouraging longer and thicker hair. Coconut oil gives shampoo great cleansing properties and makes a rich creamy lather with big, fluffy bubbles. After washing your hair with one of our conditioning shampoo bars, spritz the herbal vinegar rinse all over damp hair and scalp. Do this step before washing the rest of your body so the rinse can soak in. Then rinse it out very briefly. The vinegar smell will go away as your hair dries. Use once or twice weekly—or as needed. The acid in the vinegar removes scaly build up and residue on the scalp and hair shaft and closes the cuticles causing them to lie flat and SHINE. Vinegar also restores the natural pH balance of your scalp, preventing it from becoming dried out and itchy. Your hair will look and feel soft and healthy.